When you think of exemplary Filipino volunteers, what comes to your mind? How would you encapsulate your thoughts on them in a logo and a title? 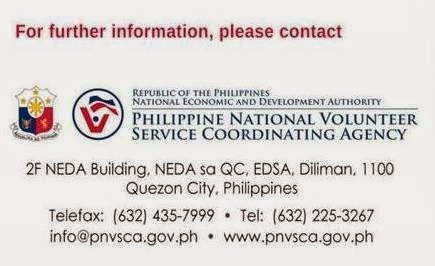 These are the questions that the Philippine Volunteer Service Coordinating Agency (PNVSCA) wants you to answer, as it launches the contest for a new logo and title for the annual Search for Outstanding Volunteers (SOV). 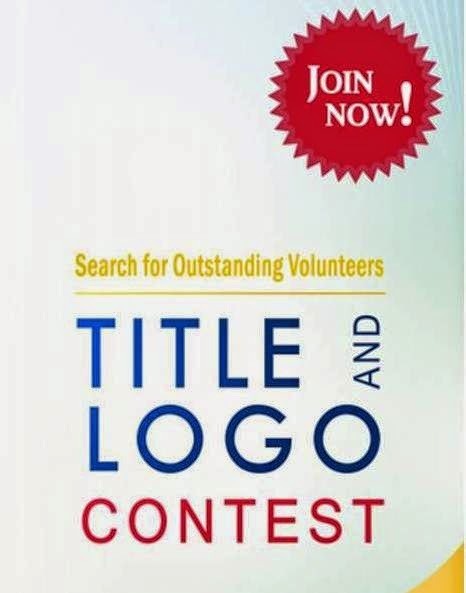 The SOV Title and Logo Contest seeks to give the Search a distinct professional brand that will generate active public participation in the Search. Open to all Filipino citizens aged 15 years old and above, the contest will accept a maximum of two (2) original entries from participants. The Title should be in Filipino with English translation while the Logo should be in color. Each entry should be accompanied by a one-page essay explaining the message of both the title and logo. Criteria for judging are relevance (30%), creativity (30%), originality (20%) and over-all impact (20%). The winner will receive a plaque of recognition and P15, 000 pesos inclusive of tax as a cash prize. Deadline for submission of entries is on 28 February 2015. The entry forms are available at the PNVSCA Office or may be downloaded at www.pnvsca.gov.ph. Now on its 14th year of implementation, SOV is the government’s platform to recognize Filipino volunteers from different regions of the country who selflessly devote their time, effort, and resources to contribute to the development of society.